whole house remodeling | Knight Construction Design Inc. The National Association of the Remodeling Industry (NARI) named Knight Construction Design 2015 National Contractor of the Year last weekend for its outstanding work at a Mirror Lake Drive, Edina, home. 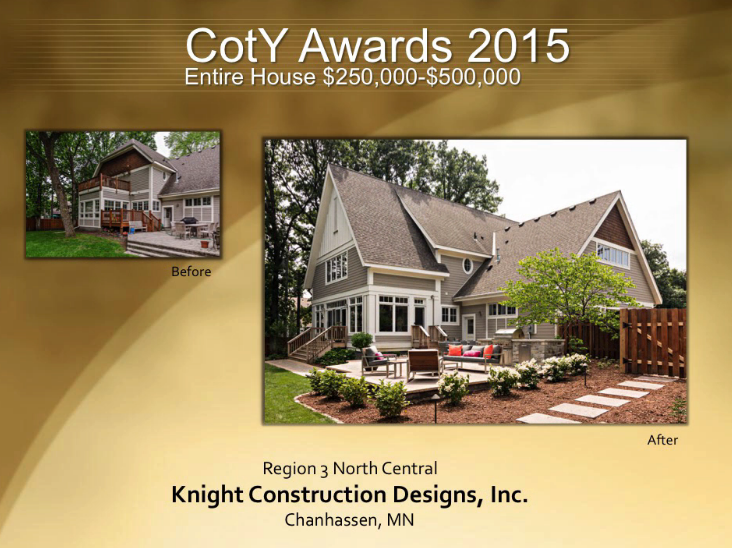 The Chanhassen remodeler won in the entire house remodeling $250,000-500,000 category. Seven other NARI MN members won in smaller categories. This is the fourth National Contractor of the Year Award Knight Construction Design has won since joining NARI in 2000. It also holds dozens of Minnesota and regional homebuilding and remodeling awards. 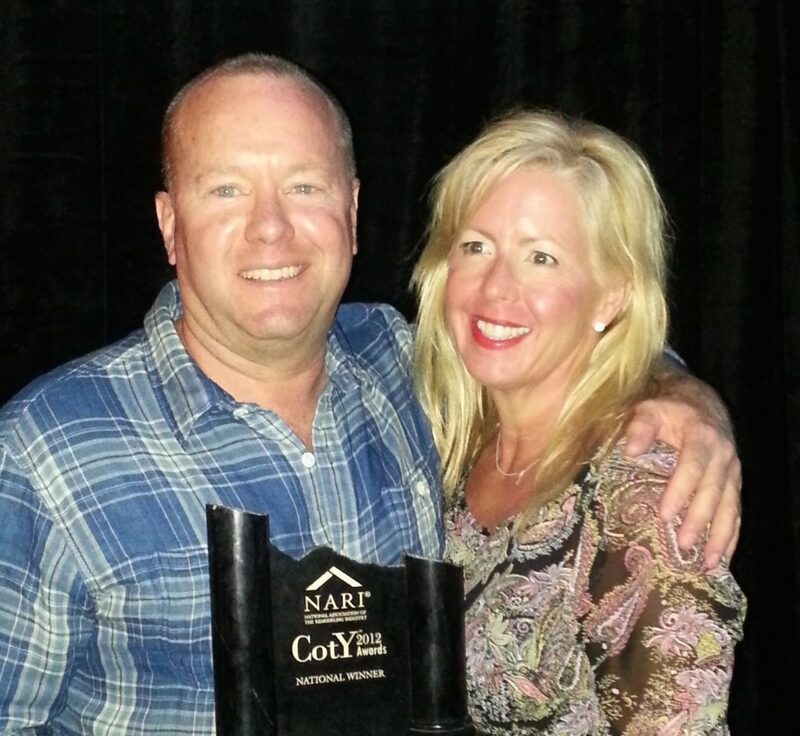 Gary Knight had received NARI Minnesota Contractor of the Year gold honors last fall and then took top prize in the NARI North Central Region 3 CotY Awards in the same category earlier this year to qualify for national consideration. The triple award-winning project features a 17x32-foot addition, dual-sided Montana stone fireplace, large Marvin windows and doors, expanded mudroom, and enhanced master suite and office. “The addition modernized the flow of the main level and connected the kitchen and living room to the new sitting/dining room. This made the space much brighter and more comfortable,” explained designer Kristen Peck. By adding just three feet to the home’s front elevation, Knight was able to match the rear addition roofline and make the whole house look new and appealing.